K'ville Indie Flea took a break for July and August but they are starting back up again this Saturday and Donna's Delights will be there. 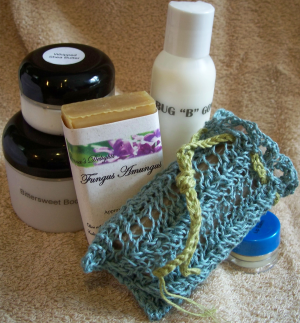 I will be busy making soap and lotions to restock the shelves. Don't worry there will be plenty of Fungus Amungus. I should have taken a count earlier last week before doing the Honeybee Festival. Much to my surprise, how could I do a big show with only 10 bars! As I thought they didn't last long. I will have plenty with me Saturday if you missed getting some.